I started my career in England at The Creative Assembly (latterly Sega) in 2001 as an artist, working on many of the Bafta Award winning Total War series of PC games and, more recently, the chart topping London 2012 Olympic Games Official Video Game. 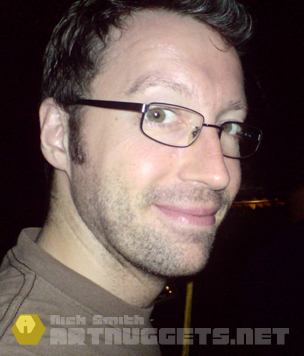 Having transferred to Brisbane in 2005 I left Sega in early 2012 after eleven years, and have since branched out on my own as a freelance artist, focusing on storyboard, comic and concept art. As well as contributing art to Josh Tanner’s short film The Landing, I am also creating art for the preproduction of Luke Sparke’s The 34th Battalion. Follow me on Tumblr, Facebook & Pinterest. Cheers Cass! I’ll have to look it up. I was just thinking about the Snowman the other day, it being Crimbo and all.